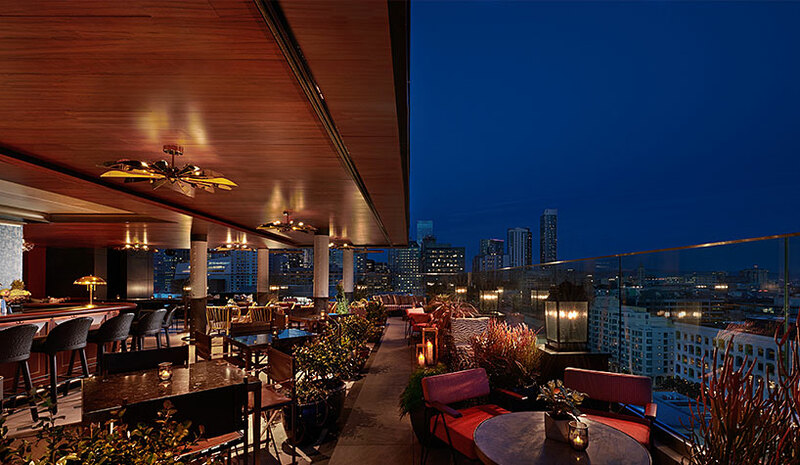 Everdene, a rooftop bar and lounge, recently opened at the new Virgin Hotels San Francisco. Named after Bathsheba Everdene, the heroine of British author Thomas Hardy’s 1874 novel, “Far From The Madding Crowd,” Everdene is an archetype of the strong, independent woman this bar pays homage to in a city that celebrates strong women and those who love them. The 4,000-sq.-ft. Everdene has a selection of cocktails, as well as shareable dishes from Virgin Hotels San Francisco’s Executive Chef Adrian Garcia. True to the roots of Sir Richard Branson’s Virgin brand, Everdene is complete with a well-rounded entertainment program. On the new rooftop, the guest experience is enhanced by an eclectic soundtrack of sets from hand-selected DJs and live performances across multiple genres such as electronic, vintage funk and soul, indie rock and hip hop. Railroad Stop Bar & Kitchen recently opened its doors at the Hyatt Regency Sonoma Wine Country in Santa Rosa, CA, paying homage to Downtown Santa Rosa’s Historic Railroad Square where the hotel is situated. The new restaurant offers Sonoma County-influenced, farm-to-fire dishes alongside custom barrel-aged cocktails and a list of local wines by the glass and bottle, plus craft beer. With rustic touches, earthy colors and brushed metals, Railroad Stop Bar & Kitchen offers a new timeless interior design. The Waterfront Beach Resort, a Hilton Hotel, will unveil a new oceanfront fine-dining venue, Henry’s Restaurant, later this month, as the latest installment in the property’s expansion. The restaurant will offer a locally inspired farm-to-table creations by Chef de Cuisine Kenny Seliger. Situated steps from the sand, the new dining outlet will showcase seasonal menus with a range of land and sea options, accompanied by an extensive California-centric wine selection. Named after Henry Huntington, a railroad mogul who put Huntington Beach on the map in the early 1900’s by agreeing to bring his “Red Car Service” to the city with a stop next to the Huntington Beach Pier, the new restaurant will celebrate Southern California culture with fresh, high-quality ingredients. The Waterfront Beach Resort is currently offering a pop­-up version of Henry’s Restaurant inside the hotel’s Boardwalk Restaurant, where guests can try new dishes from the Henry’s menu ahead of the opening date and provide feedback to the culinary team.